The new Club Atlético de Madrid Stadium results from the expansion of the old Athletics Stadium of the Community of Madrid, completed in 1994. 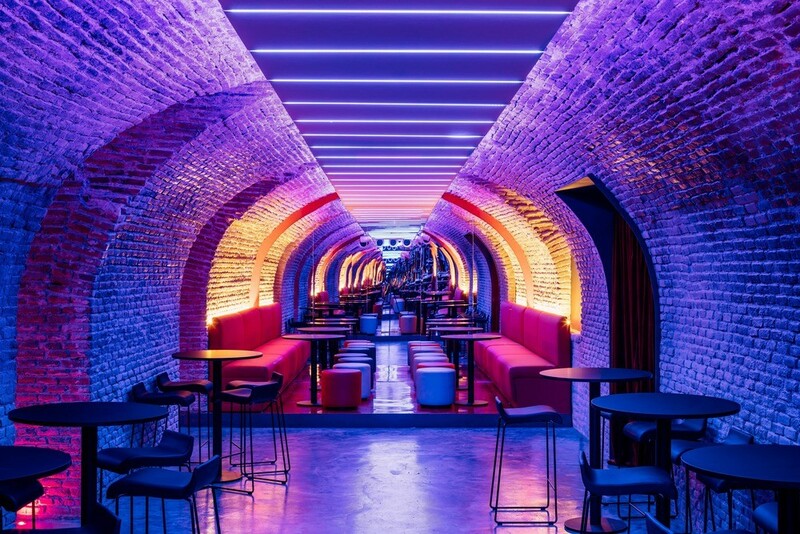 Hidden in the underground of the Madrilenian neighborhood “Barrio de Las Letras” (today a neuralgic point of the city), under a refurbished palace of the eighteenth century where Hotel Axel Madrid is located, we find two vaulted spaces built in brick. 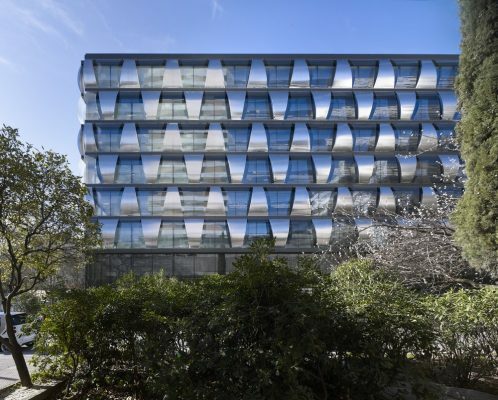 The design of the AXEL Hotel on Atocha Street superposes a series of historic references forming a complex and explosive tandem. 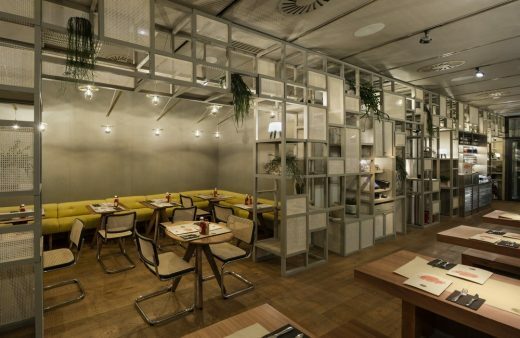 Firstly, the privileged location in the very midst of Madrid’s literary neighborhood. 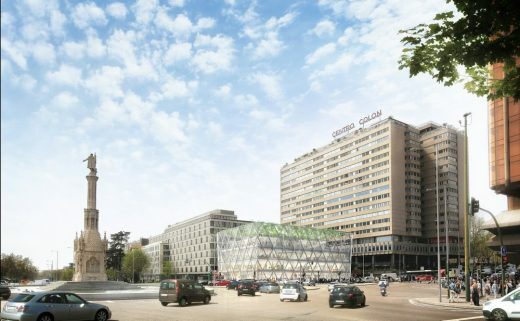 Secondly, the palatial 19th-century building in which it is located. 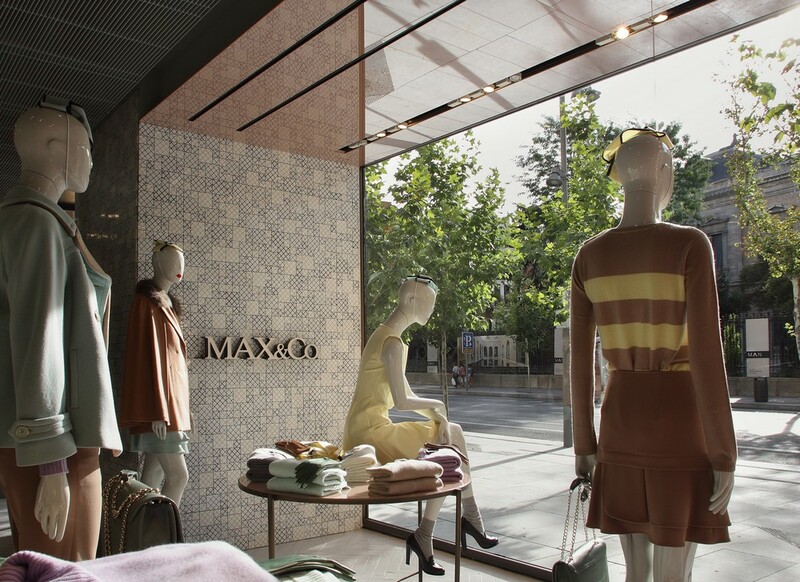 The first flagship store in Spain for the Italian fashion brand Max Mara Group opens at Calle de Serrano 18 – featuring the firm’s new store concept. 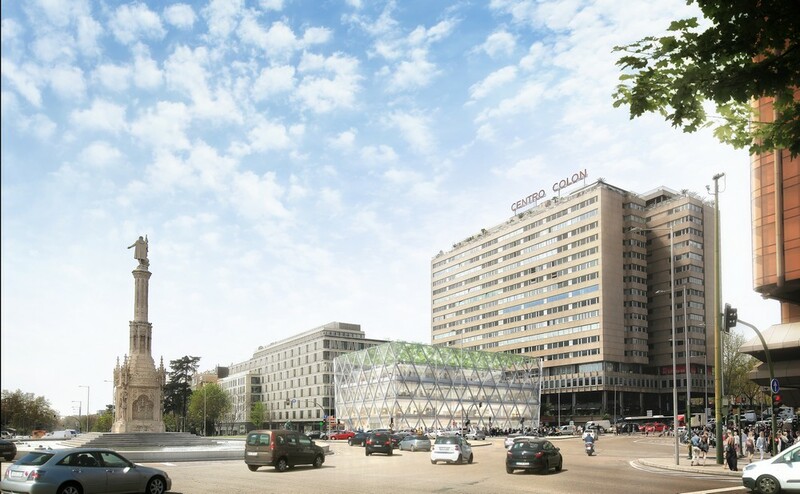 The comprehensive refurbishment of the Plaza Colón building, at one of the most major intersections in the city, the project seeks to completely transform and revitalise the existing structure to create a new iconic landmark that reflects the prestige and importance of the site. 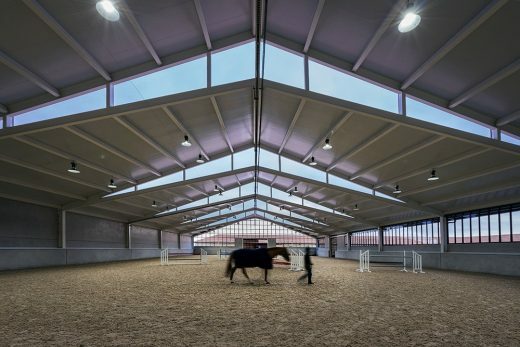 The architects task consisted of integrating a horse riding field into a large traditional country house and reforming old stables to bring them up to date, so the new group of buildings will become first class riding horses facilities, at the service of some beautiful competition horses. 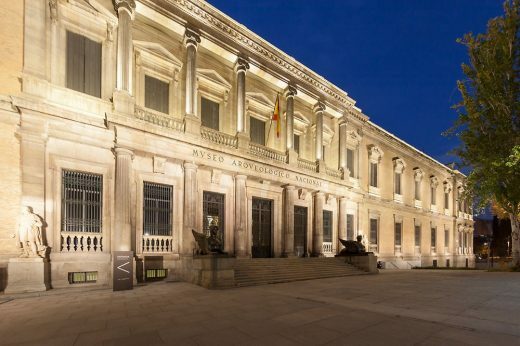 This major building in the Spanish capital was opened in 2008 by King & Queen of Spain. 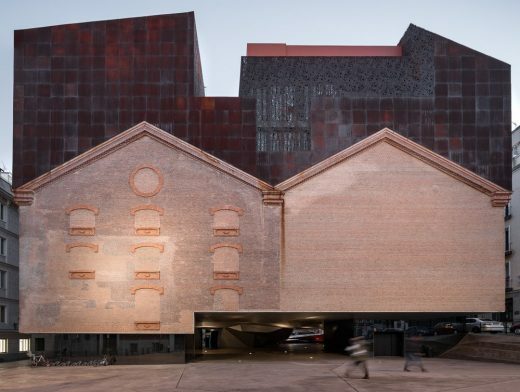 The museum and cultural center was designed by the world-famous Swiss architects Herzog & de Meuron. 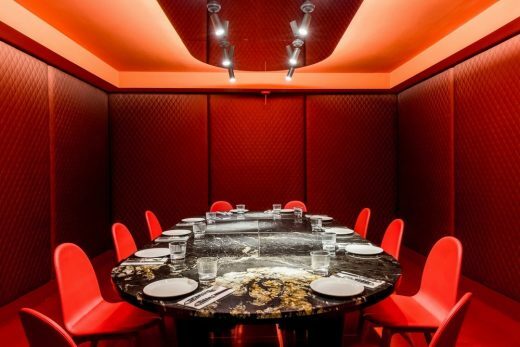 The building combined an old abandoned electrical station with new construction of floors which are encased with oxidized cast-iron. 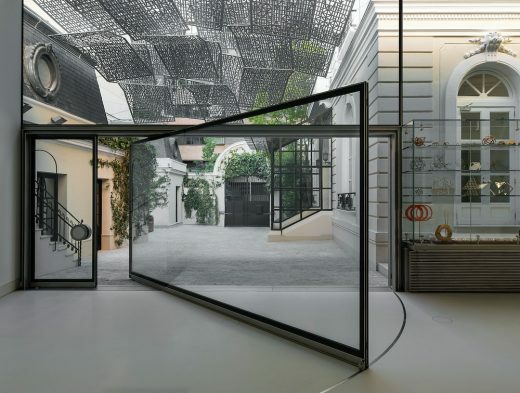 The first Norman Foster Foundation Digital X Workshop – explore the kinship of Architecture and the Digital World in a week-long event -will take place on 15-19 January, supported by Future Planet Capital. 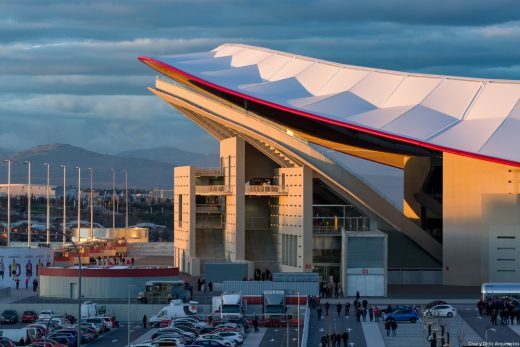 After reviewing applications submitted by hundreds of candidates from around the world, the selection committee awarded ten scholarships to students from various universities and institutions. 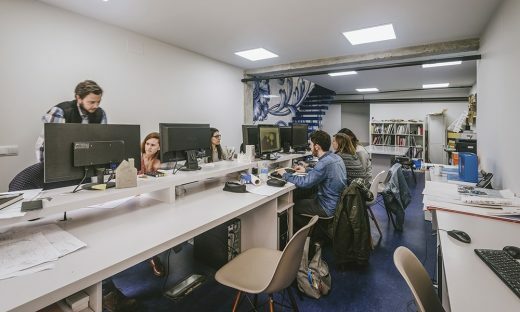 This year’s Atelier mentor is Nicholas Negroponte, cofounder and former director of MIT Media Lab. 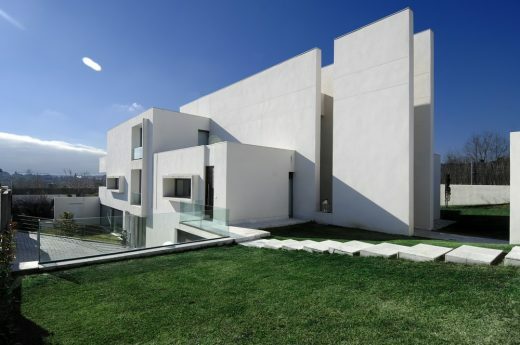 OOIIO, an emerging architecture studio based in Madrid with projects in Spain and Latin America, decided to move its headquarters because the team is growing thanks to a series of new commissions and some competitions won. 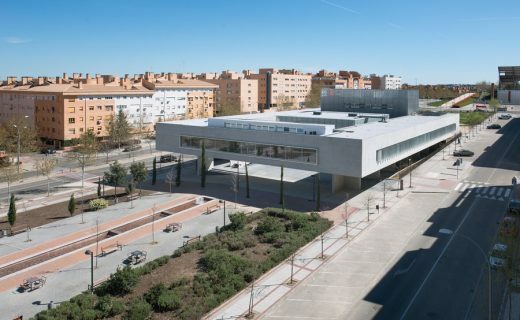 The new building hosts the Universidad Popular, the headquarters of the PhotoEspaña International Centre in Alcobendas, as well as a media library and a citizen’s advice service of the City Council. 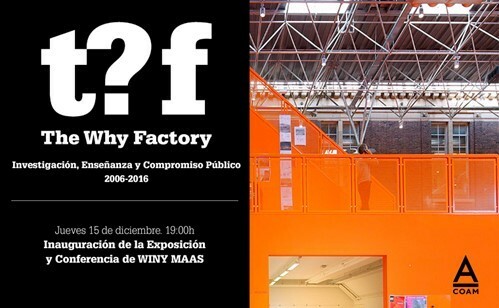 The Official College of Architects of Madrid (COAM) in collaboration with The Why Factory and TU Delft announce the opening of the exhibition “The Why Factory: Research, teaching and public engagement (2006-2016)” reflecting on a decade’s research on the future of cities. 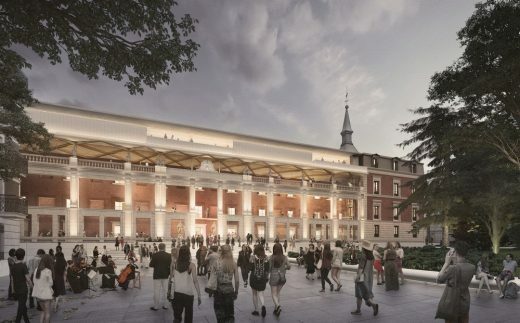 After an international architecture competition, the only American firm on the final shortlist of eight teams has released its design for the Museo del Prado’s new expansion. 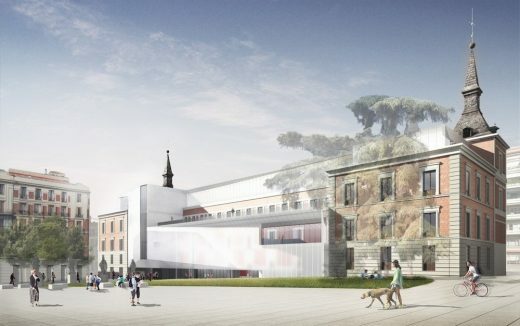 The design teams were asked to reimagine this former wing of a 17th-century palace, which was acquired by the Prado in 2015.